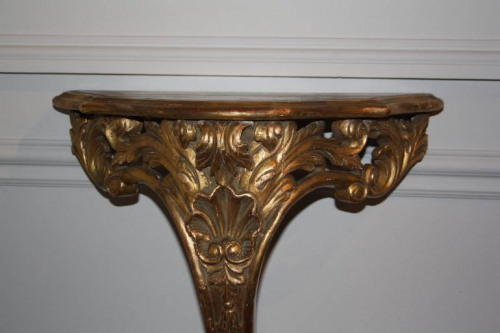 A good size elegant carved giltwood wall console with shell and scroll detail. Perfect size for a small space. French c1900.